The most recent version of the “Illinois eavesdropping law” was signed by Governor Quinn at the end of December. What will be the impacts of this law on surveillance, privacy, and our right to watch and document the police? In March 2014, the Illinois Supreme Court struck down a previous version of the eavesdropping law in People v. Melongo. In the process, the Court reinforced the 2012 Alvarez decision by the 7th Circuit Appellate Court that police officers performing their official duties in public do not have a reasonable expectation of privacy and that audio recording them is protected by the First Amendment. Yet, some commentators claimed that the revived Illinois eavesdropping law, proposed as SB 1342 and passed on December 30th of last year, makes copwatching illegal (again). This was incorrect. For further reading, we recommend this Peoria Journal Star article,this Chicago Tribune article, and this short and sweet clarification. “We cannot be arrested or prosecuted under the new statute for recording on-duty government officials who are talking to the public as part of their jobs, because those conversations are not private” –“Eavesdropping bill passes in Illinois,” ACLU of Illinois. In fact, privacy and civil liberties advocates generally favor “two-party consent” laws such as ours in Illinois, even as federal law and the overwhelming majority of states do not require all party consent. Digital Media Law Project has a very accessible explanation of state and federal recording laws. In this regard, the current law is an improvement from the earlier version and will not impact our copwatching activities. However, alarmingly, the bill contains other provisions that expand police surveillance in our communities. Due to misdirected focus on the recording of police officers, these amendments to the law have received inadequate scrutiny. We know of no evidence that the prior version of the statute, which required police to seek judicial approval, was any impediment to law enforcement in these instances. We are concerned about the expanded number of cases where no judicial officer will provide a check on police.”–“Eavesdropping bill passes in Illinois,” ACLU of Illinois. 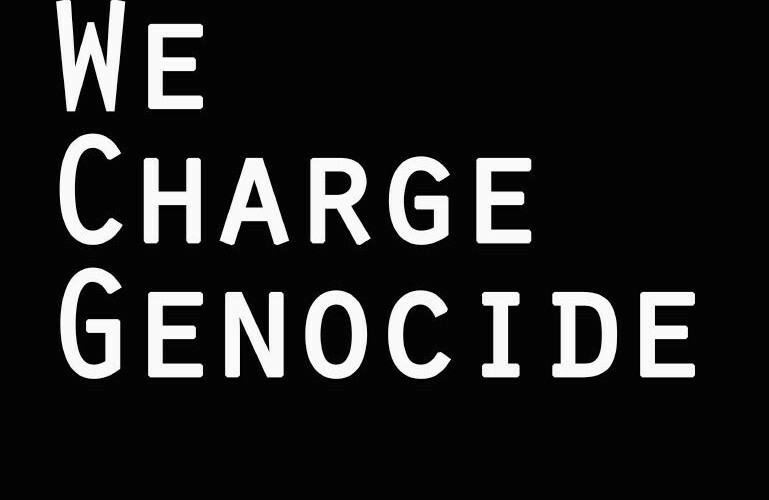 We Charge Genocide agrees that the law unnecessarily expands the authority of police officers to spy on civilians and on private conversations without consent. We are especially concerned as a community effort that documents the abuse of power by law enforcement and the lack of consequences for officers who step outside the line. There is already a culture of impunity within the Chicago Police Department; the new version of the “Illinois eavesdropping law” provides another platform for this disturbing trend to continue. While we’re relieved the law recognizes our constitutional First Amendment right to record the police in public, we also know police can find a reason to arrest someone regardless of a constitutional protection. Police have many other highly discretionary and vague charges available to them and this bill expands their tools to do so.